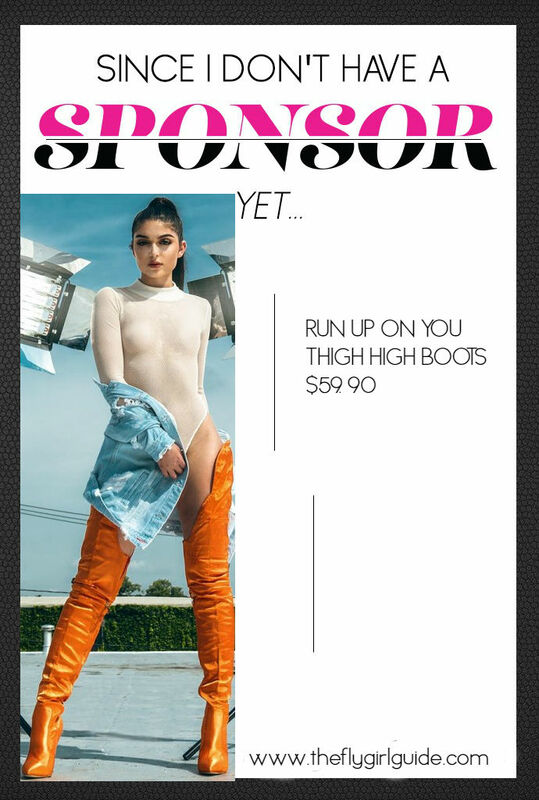 Can’t afford a $10,00 pair of YSL Runway boots? Me either. I'm not Rihanna, I'm just a mere mortal. 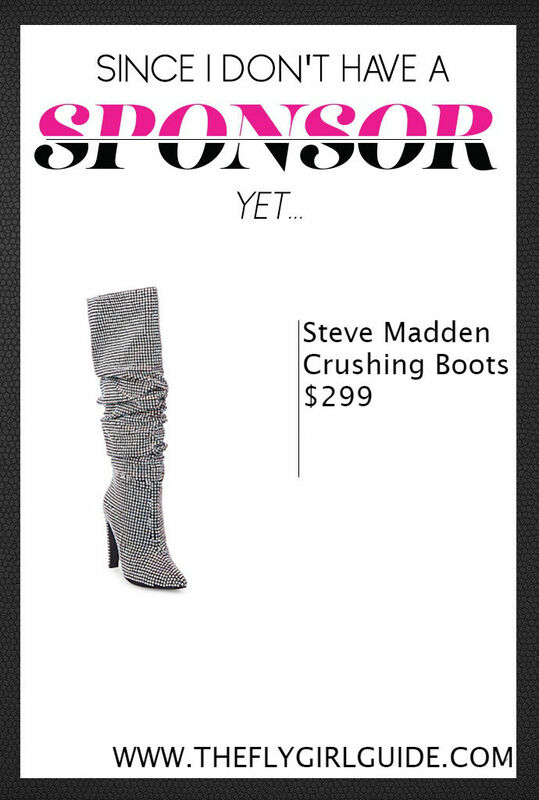 Cue Steve Madden’s $299 Crushing Boots! These beauties are covered in the rhinestones embellishments and they feature a slouchy shaft, pointed toe and a stiletto heel. 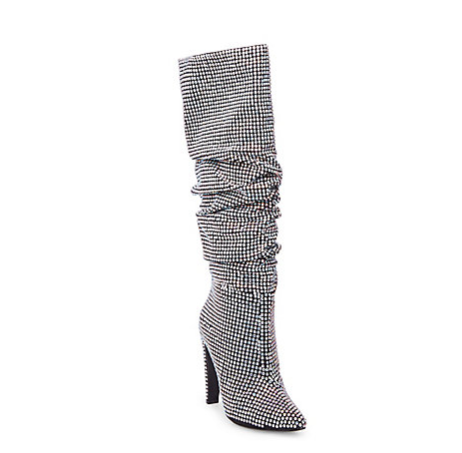 I would love to be able to afford Vetements + Manolo Blahnik satin boots but since I can't, these shopAKIRA's Run Up On You Thigh High Boots will have to suffice. They look a touch shorter than the original pair but since I'm ridiculously short, I think they will pass as the Vetements + Manolo Blahnik pair.